Episode #43 is now available. Between the recent tweet hinting at US tour dates, a free Brad download, and an iTunes Celebrity Playlist Podcast featuring Stone and Jeff, I’m wondering if anyone is even going to listen to today’s podcast with so many other things competing for the attention of the Pearl Jam fan. 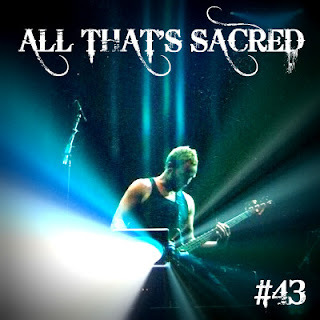 I hope you find the time to tune in though because episode #43 pays a little homage to Jeff Ament on his birthday and is a fun look back at pastSNL appearances as we prepare for the guys’ triumphant return to late night television. Still taking email and voicemail suggestions for the “escape” podcast coming soon on #45. I also want to encourage everyone to submit a picture of themselves to be used in a fan collage in the image artwork for #52 – the one year anniversary of the podcast! If you have ATS gearto sport in your picture, then all the better but it should be something to represent you as a fan of the podcast and, more importantly, a fan of the band. Your pictures can be emailed or uploaded to the ATS Facebookpage. Thanks for playing along and checking out the podcast week after week. It really feels like things are gearing up and I’m excited to see what the rest of 2010 brings.